I don't always make fruit salad, but when I do I make it with marshmallows. Okay. Kidding. I always make fruit salad, and up until last week I hadn't put even one itty bitty marshmallow into my fruit salad. 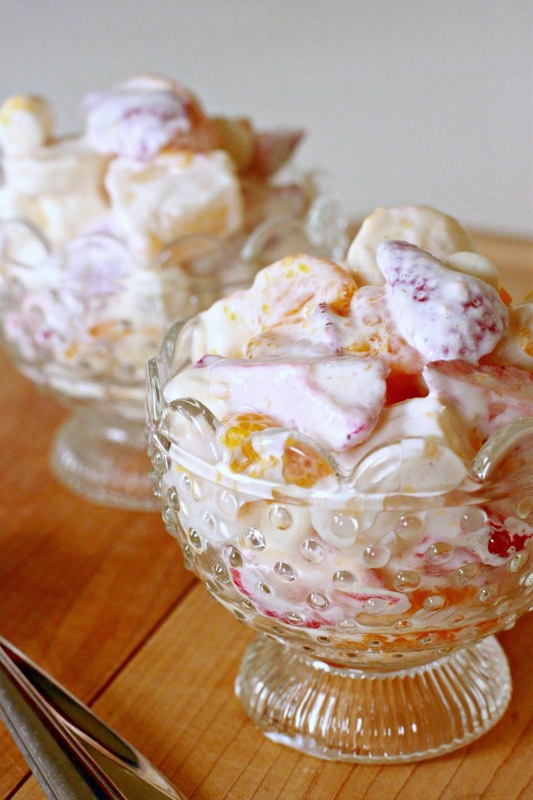 I seem to remember as a kid having something similar to this Marshmallow Fruit Salad. However, it was a distant, fuzzy memory. A memory that I didn't even realize I was missing. When The Hubs came to me and wanted to put a new fruit salad on the Easter menu and that marshmallows were involved, I was hesitant. I mean let's be honest people, putting little fluffy bits of sugar into a fruit salad kind of defeats the whole fruit and salad thing. He convinced me quite charmingly, so the Marshmallow Fruit Salad made it onto the menu. With a little army of reservation setting up camp in my noggin, the salad was made. I tweaked the recipe just a bit, but no worries I kept in the mallows. Sorry I digress. Name the movie. We haven't played this game for a bit. Okay back to the fruit salad. The salad was a hit. 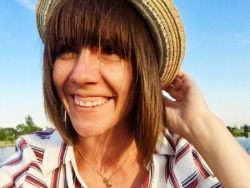 We owe it all to that handsome husband of mine. My fear of the salad being too sugary was completely ill founded, due in part to the "cream" used. It not being of the whipped or aerosol variety. Intrigued? You should be. This salad was practically perfect and was a great addition to a yummy Easter meal. Point to you Husband. Point goes to you. I will even give him a bonus point because I ate the leftovers the next day. For those of you who might be new around here, that is a big deal because I tend to hate leftovers. So go ahead and put this on your weekly menu. It is a crowd pleaser. 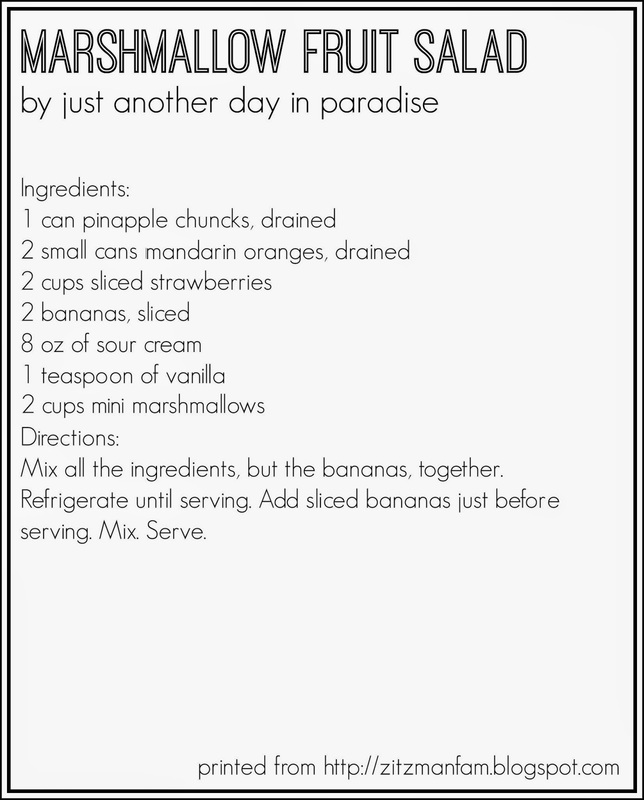 I make a similar fruit salad but use Dannon's Light & Fit french vanilla yogurt to replace the sour cream. Less calories, less fat & the yogurt adds just a touch of sweetness. I don't use strawberries or bananas - just the pineapple & oranges. I also add a cup each of coconut and miniature marshmallows. We always have this salad on hand - it's quick and replaces that dish of ice cream we might have otherwise had. YUM! I've never made my own but I think it's called Ambrosia? I know Ambrosia has coconut in it, though. It's one of my all-time favorite "salads." I'm so confused. 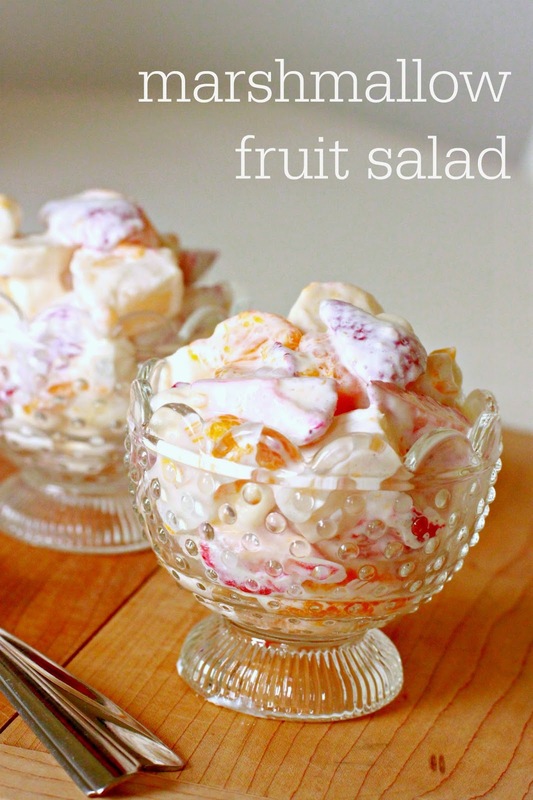 While this fruit salad looks amazing, I don't see any marshmallow in the recipe. I read it like 5 times just to make sure it wasn't just me missing something the first time. Are there marshmallow or not? GOOSH! Sorry Sarah, yes there are marshmallows. I fixed the recipe. Sorry about the confusion.